HIGH PERFORMANCE - With a max speed of up to 18.6 MPH and a range of up to 8 miles on one charge and 25% grade hill climbing. Equipped with a secured 36V LG lithium-ion battery pack that can be fully charged within 1 hours. Electric skateboards are becoming more and more popular these days. 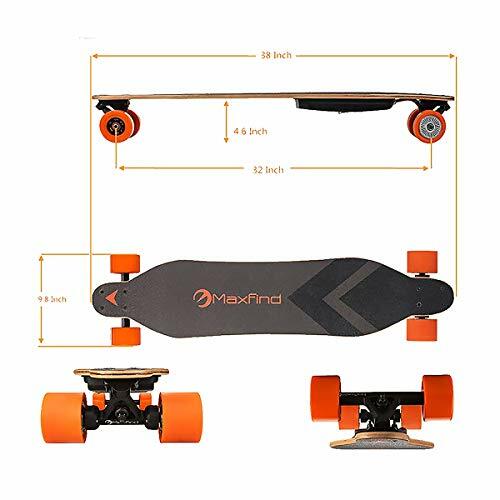 One of the most popular electric skateboards is the Maxfind Dual Motor Electric Skateboard.This board is well made using high-quality, long lasting parts. Whether you use it for pleasure cruising or your morning commute, this board is sure to give you many hours of enjoyment. The Maxfind Electric Skateboard stands out from the others because of its superior construction. The 8-ply maple hardwood deck is sturdy and comfortable, allowing you a generous amount of surface area to stay grounded on the board. A rigid non-slip coating offers additional comfort and safety. The 38 inch length makes this long board incredibly stable, yet maneuverable. The board is rated for riders up to 220 pounds, making it an ideal choice for adults and teens. The board is mounted on a sturdy 9.65″ truck which supports long-lasting 83 mm polyurethane wheels. These durable, high quality wheels are long lasting and offer traction on almost any paved surface. 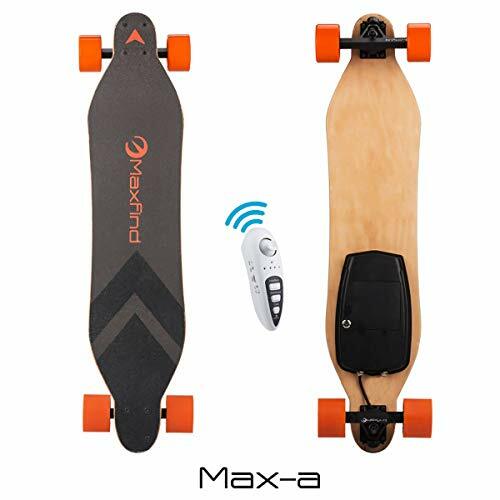 One outstanding feature of the Maxfind New Design Dual Motor Electric Skateboard is the hand-held, wireless remote control which allows you to speed up or slow down the skateboard with just a touch of the finger. This amazing piece of technology is lightweight and compact. 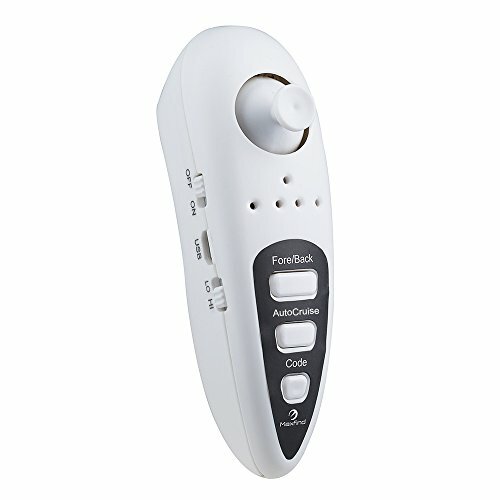 The remote control fits easily in your bag or pocket. 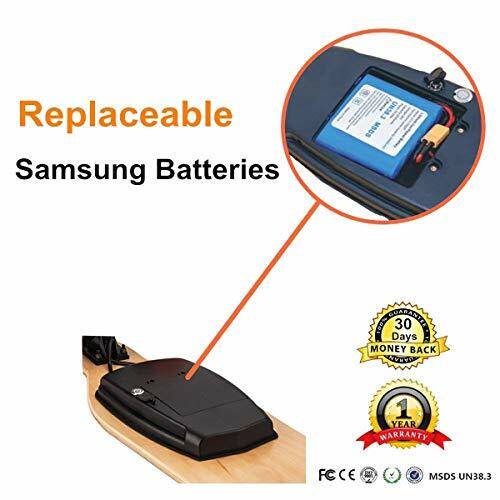 The Samsung 18650 Lithium-ion battery on the Maxfind Electric Skateboard requires just one hour of charging time and will travel at top speed for approximately one hour on a full charge. The board will travel at a top speed of about 17 mph on a flat surface. While this may vary slightly according to the rider’s weight, it is still faster than other boards on the market. If the battery does happen to go dead in the middle of your trip, the board is lightweight enough to pick it up and carry it for a short distance. The Newly Re-designed Maxfind Electric Skateboard holds its own in a comparison with other brands. Outstanding quality, safety features, and technological components create a unique product that is priced competitively with other models that offer few features. This would be an excellent entry level electric skateboard, perfect for a teen or young adult. The maximum speed and travel distance are better than most brands, making this an excellent value for the money. The Maxfind Electric Skateboard stands out from the others for several reasons. A Sturdy 8 ply maple hardwood deck allows safety and stability without losing maneuverability. The easily rechargeable Lithium-ion battery lasts longer and recharges more quickly than many others. High quality components including a strong aluminum truck create a product that will last a long time. The board only weighs 12.2 pounds, making it lightweight enough for small adults and children to carry. 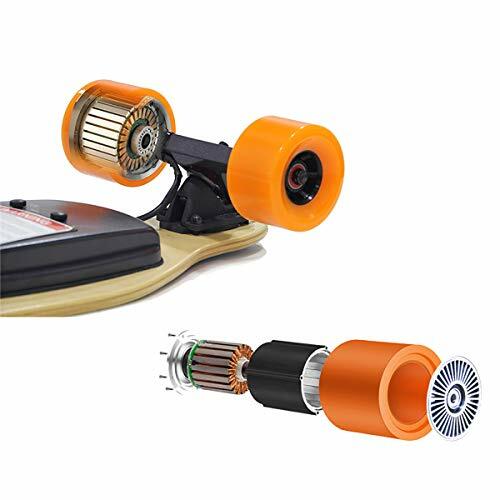 There are a few things that could be improved on the Maxfind Dual Motor Electric Skateboard. The top speed is only 17 mph, which is slower than some others on the market. The external motor is visible and not very attractive.Other models use smaller motors or put the motors in the wheels. The polyurethane wheels only allow travel on fairly smooth paved surfaces and may wear when riding on rough asphalt. The board struggles when traveling uphill, especially with heavier riders. Even a 15 degree uphill rise caused the board to slow down. 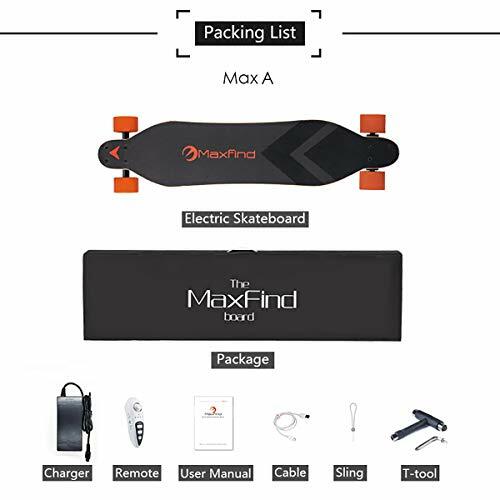 The Maxfind Dual Motor Electric Skateboard is an outstanding product for the money. It is designed with safety and stability in mind. Teens and adults will enjoy this board and get many hours of use from it. 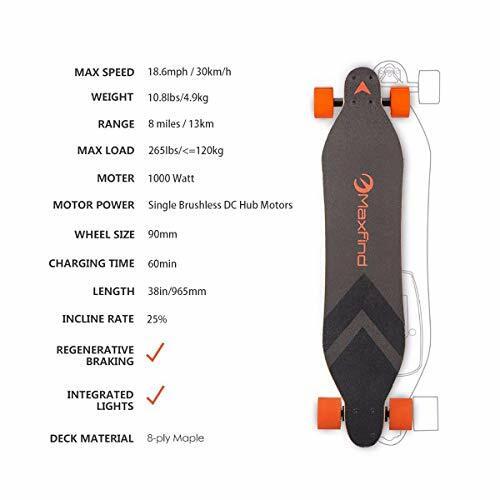 While it may not be as fast as some of the others on the market, the Maxfind New Design Dual Motor Electric Skateboard still travels fairly quickly at 17 mph. The fact that it will travel 10 miles on a single charge makes this electric skateboard very appealing. 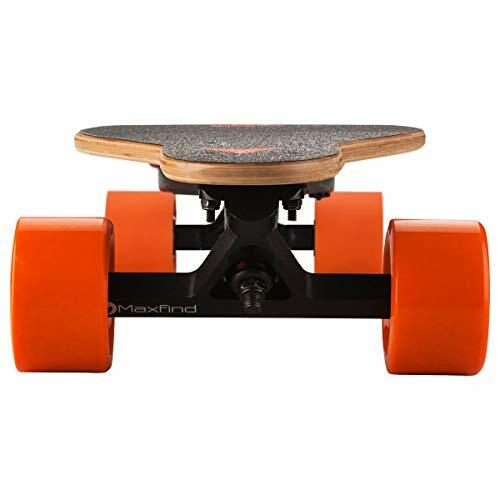 For the cost, the Maxfind New Design Dual Motor Electric Skateboard stands out over other brands. Still got questions? Check-out the Maxfind FAQ section!